Editor’s note: What is it about an all-black watch that really gets the heart racing? I mean, it’s a neutral colour, like white, silver, or grey, yet just by adding a heavy dose of toner, an entire watch can be transformed. 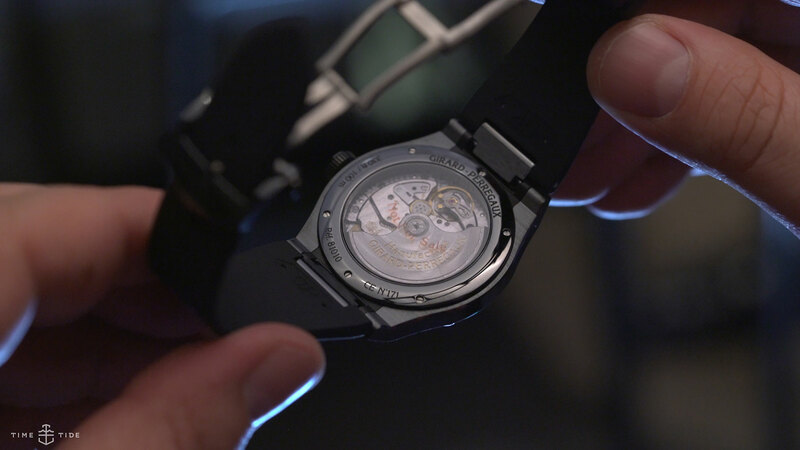 Case (and dial, and strap) in point, the black ceramic Girard-Perregaux Laureato 42mm. 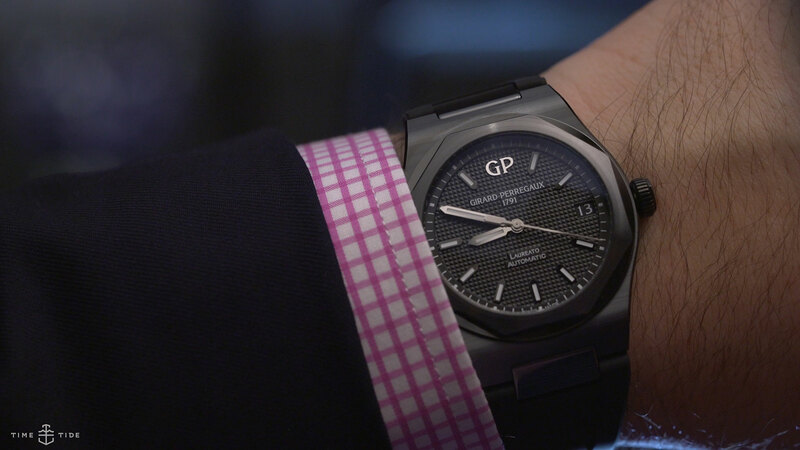 A luxury sports watch made, well, sportier. Since its surprise reveal a little over a year ago, the Laureato has become an increasingly significant player in the luxury sports category, thanks to its crowd-pleasing good looks and impressive mechanics. SIHH 2018 showed us that the Laureato is an increasingly important part of GP’s lineup too, as handsome new chronograph variants dominated their latest batch novelties. But I was particularly taken by this black ceramic-on-rubber offering. Announced late last year, to me this Laureato really lives up to its sporty pedigree, thanks to its hard-wearing 42mm lightweight ceramic construction and rubber strap. Now, typically I’d advocate for the bracelet variant, especially on a integrated case style like this, but here I think the rubber really works. It makes the Laureato far more casual, and really wearer-friendly, and better honours the casual spirit of the design. While the bracelet versions of this watch (whatever the material), look quite work-ready, this Laureato really needs to be worn with short sleeves, preferably on a teak deck somewhere unseasonably warm. And with its 100m of water resistance, super-hard case and general air of masculine charm, this watch is more than up for whatever adventure you might have planned. This watch proves that the Laureato is a versatile platform of Girard-Perregaux, ripe for reinterpretation and revision. I am really looking forward to seeing colour show up on the dial. Surely it’s only a matter of time until we see this watch with blue highlights?